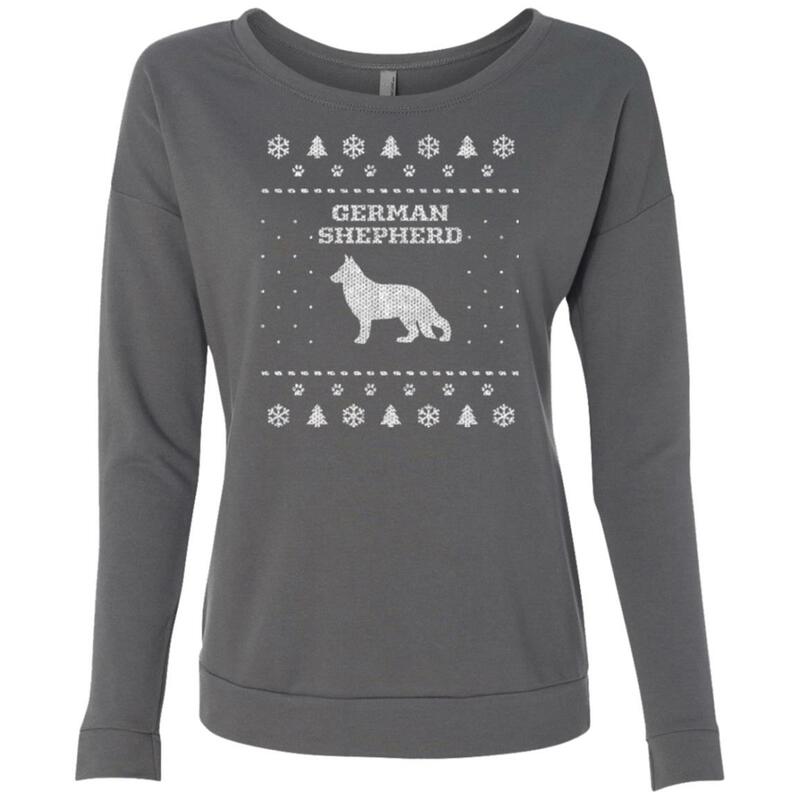 12 Awesome Gifts For People Who Love German Shepherds! Do you or someone you know love German Shepherd Dog’s more than life itself? Well then, we have the perfect recommendations for you! 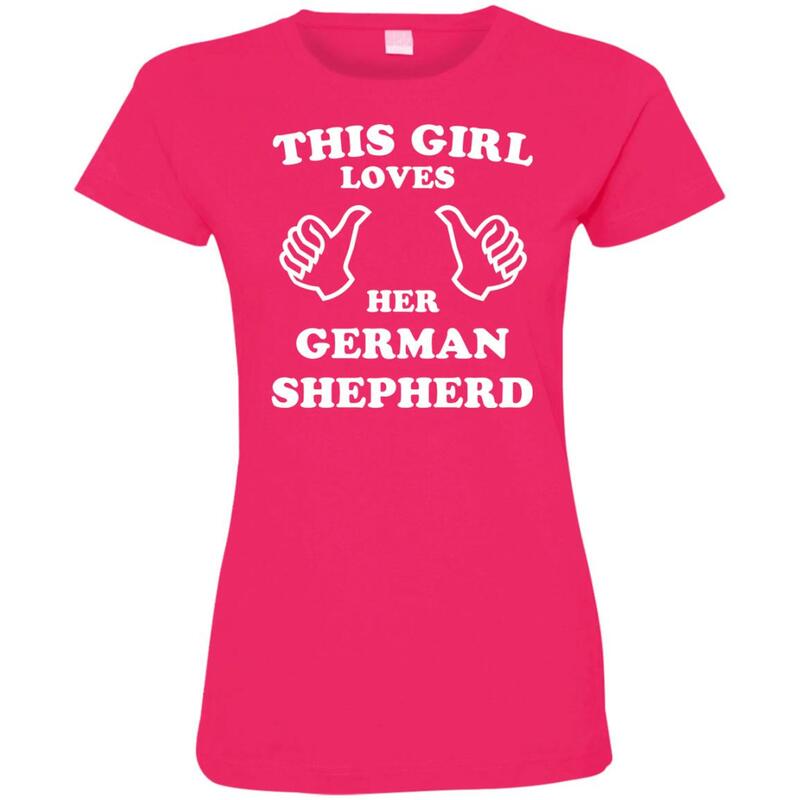 Here are 12 awesome gifts for anyone who loves GSD’s from the bottom of their heart. 2. 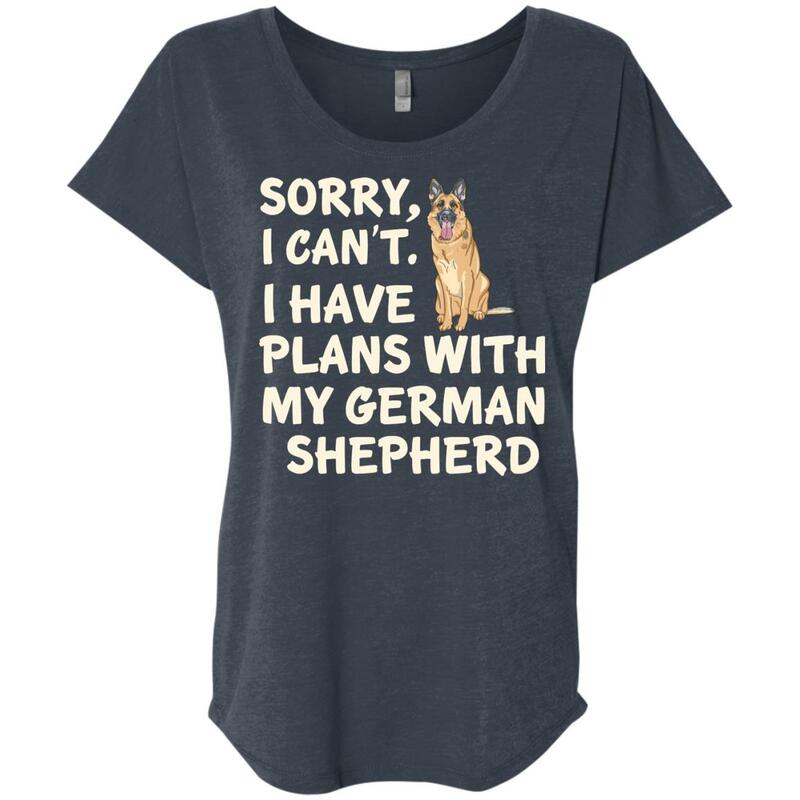 I Have Plans German Shepherd Slouchy Tee, $24.99 – $27.99. Those plans are probably brushing and getting hair out of the carpets but they’re still plans. 3. 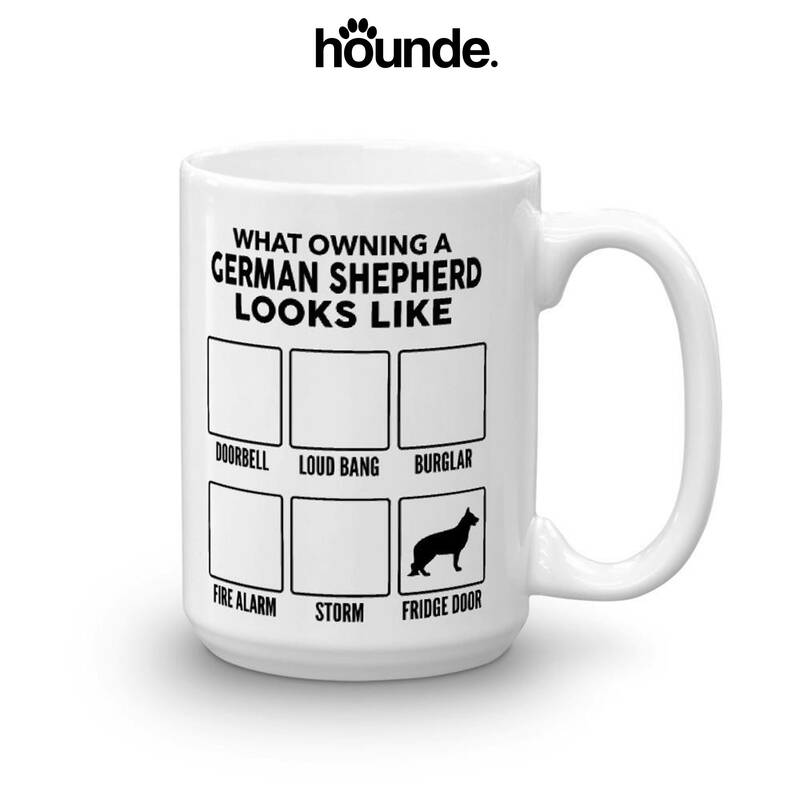 What Owning A German Shepherd Looks Like Mug, $14.95 – $17.95. The most relatable mug in the world. 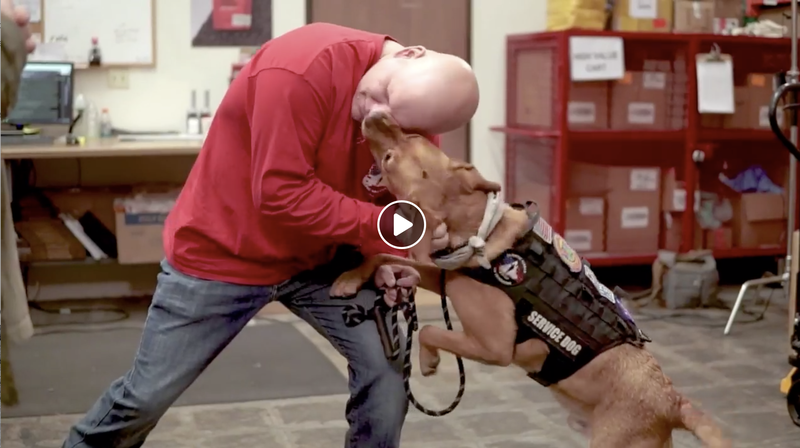 This products feeds 7 shelter dogs! 5. 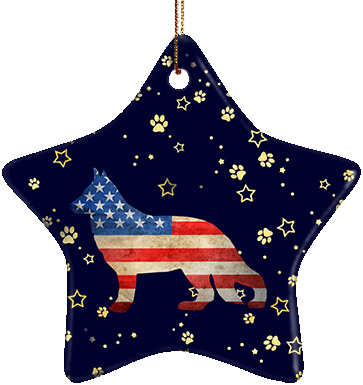 German Shepherd USA Ceramic Star Ornament, $9.99. 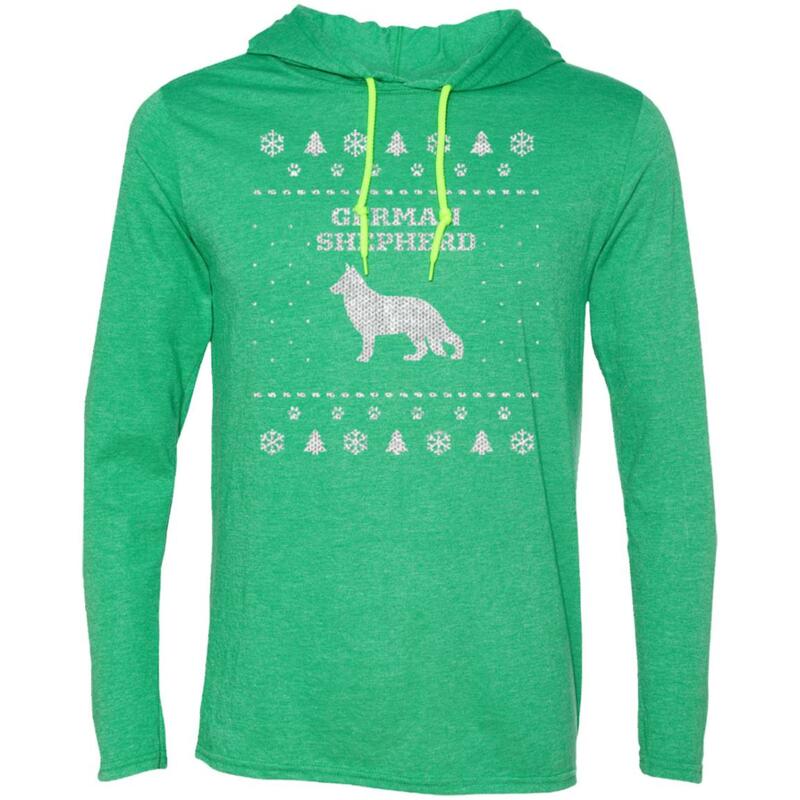 Your GSD may prefer to hang out under your tree, but this one goes IN it. 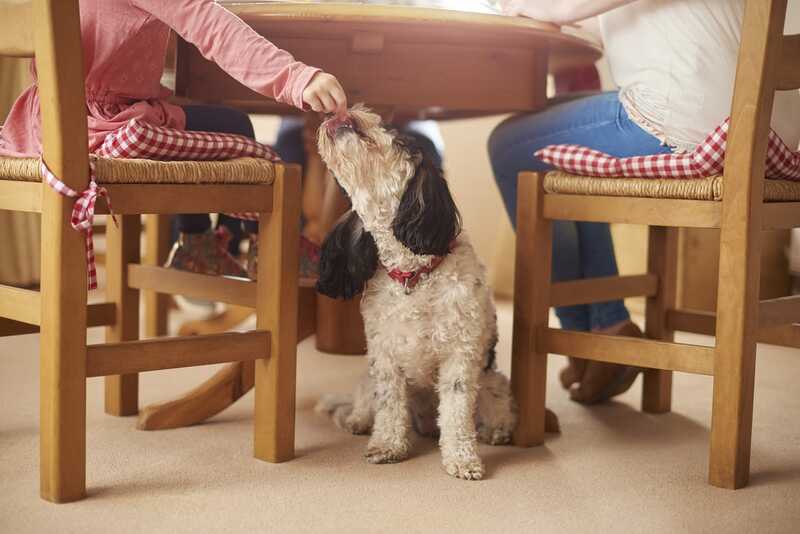 This product feeds 3 shelter dogs. 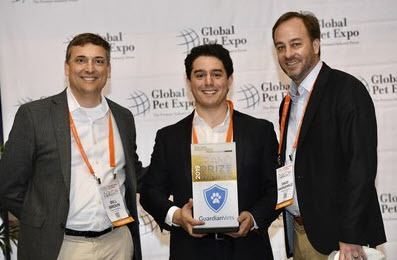 This product feeds 8 shelter dogs! 7. 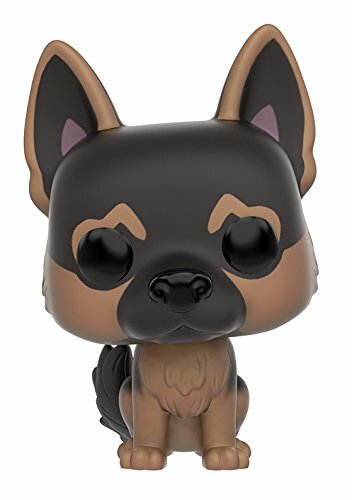 Funko POP German Shepherd Action Figure, $20.83. 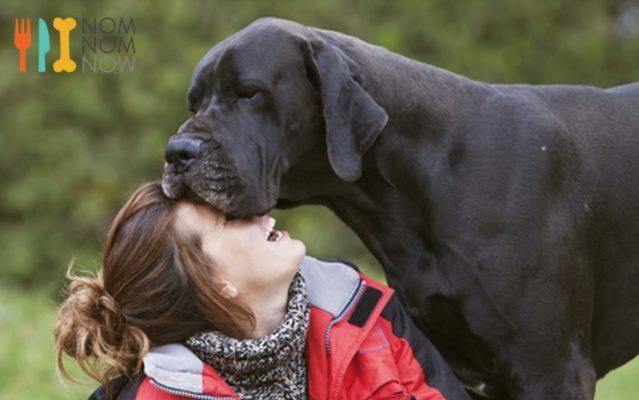 The only thing that could possibly be cuter than this big-headed, big-eyed GSD is the one you love the most! 8. 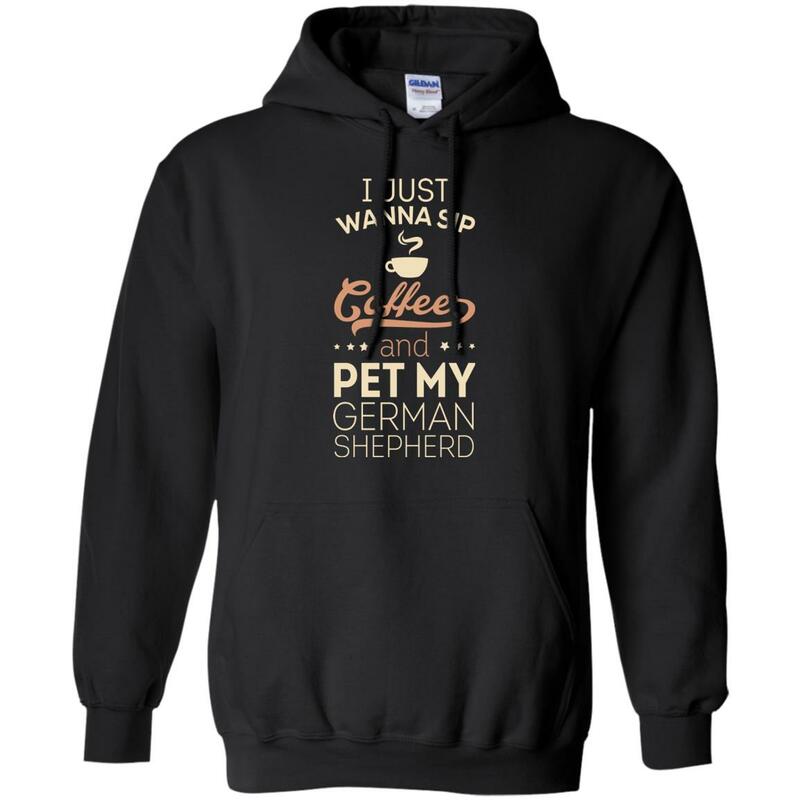 Sip Coffee & Pet My German Shepherd Pullover Hoodie, $39.99 – $44.99 Your GSD wakes you up. Your coffee keeps you up. They’re a team! 10. 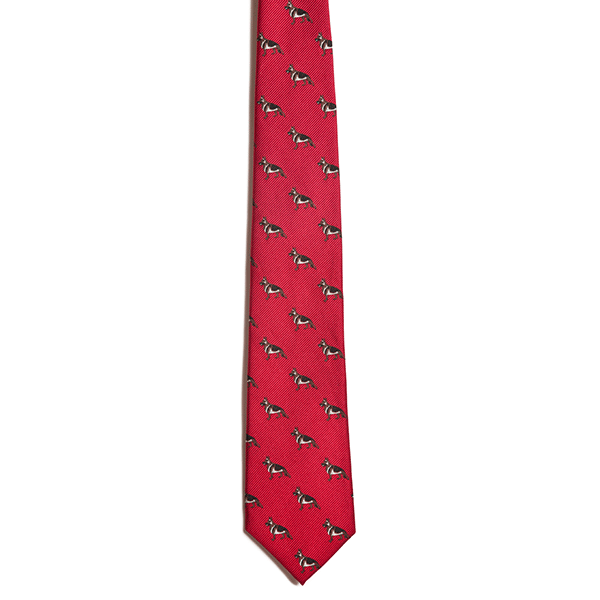 German Shepherd Dog Silk Tie, $37.50. 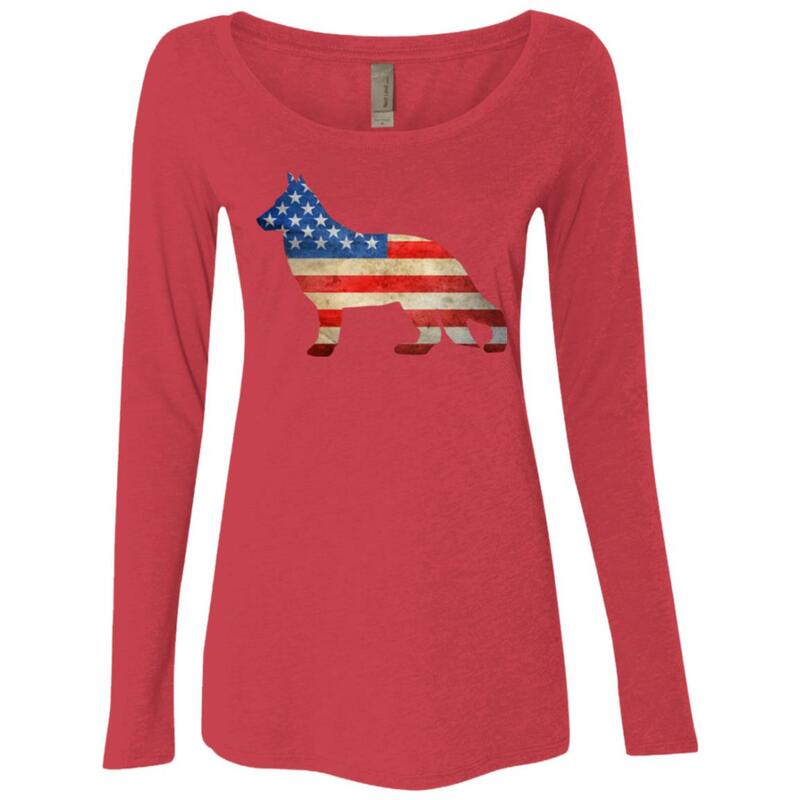 For the well-dressed German Shepherd loving business person. 11. 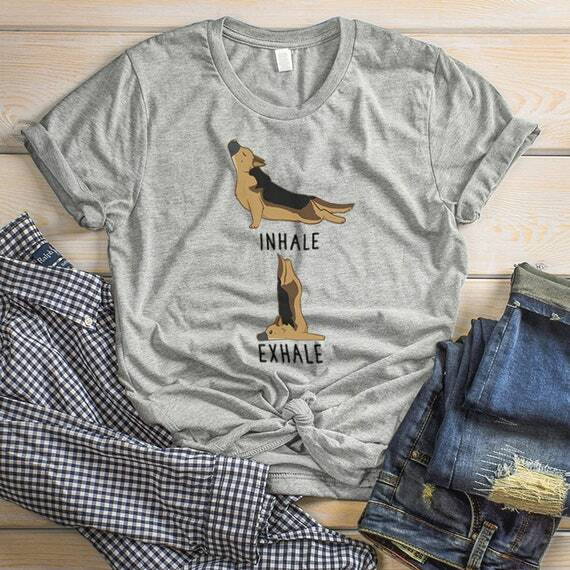 Inhale Exhale German Shepherd Yoga T-shirt, $19.99. 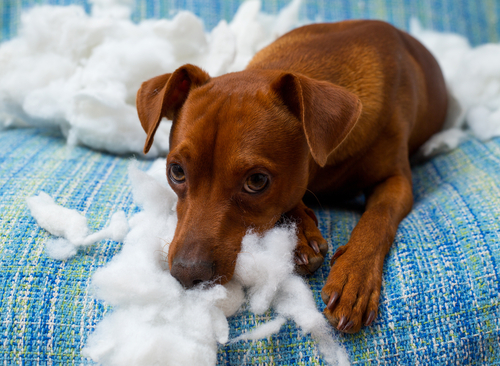 Breathe in deep, exhale dog fur. 12. 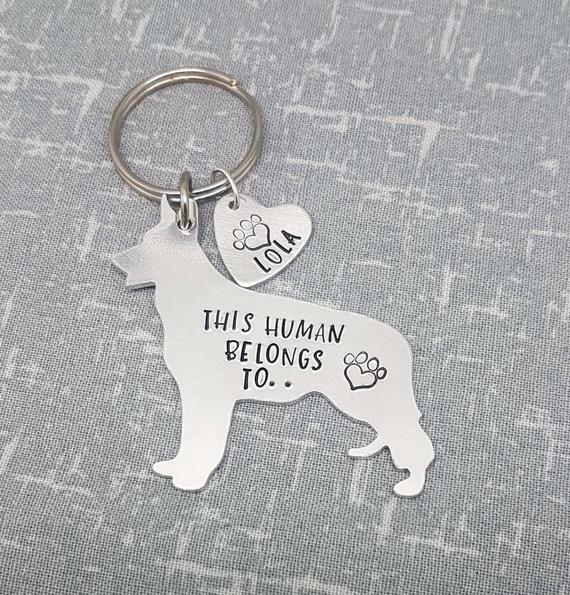 This Human Belongs To.. Personalised GSD Keyring, $10.99+A little gift can say a lot – especially when you personalize it!